The GSF-74 TY0143A 3 pole crystal filter from Golledge with centre frequency of 90MHz features a 20kHz 3dB bandwidth and is available in multiple packages, including both UM-1 and UM-5 style leaded packages and UM-1J and UM-5J surface mount packages. This filter also features insertion loss of just 3.0dB dB. Find full specifications here. 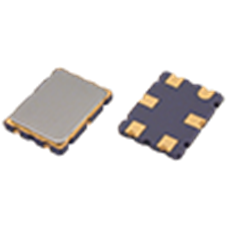 The GSF-74 TY0122A 3 pole crystal filter from Golledge with centre frequency of 45MHz features a 7.5kHz 3dB bandwidth and is available in multiple packages, including both UM-1 and UM-5 style leaded packages and UM-1J and UM-5J surface mount packages. This filter also features insertion loss of just 3.0dB dB. Find full specifications here. The GSF-74 TY0129A 3 pole crystal filter from Golledge with centre frequency of 21.4MHz features a 7.5kHz 3dB bandwidth and is available in multiple packages, including both UM-1 and UM-5 style leaded packages and UM-1J and UM-5J surface mount packages. This filter also features insertion loss of just 3.0dB dB. Find full specifications here. The GSF-74 TY0131A 3 pole crystal filter from Golledge with centre frequency of 21.4MHz features a 12kHz 3dB bandwidth and is available in multiple packages, including both UM-1 and UM-5 style leaded packages and UM-1J and UM-5J surface mount packages. This filter also features insertion loss of just 3.0dB dB. Find full specifications here. The GSF-74 TY0132A 3 pole crystal filter from Golledge with centre frequency of 45.15MHz features a 14kHz 3dB bandwidth and is available in multiple packages, including both UM-1 and UM-5 style leaded packages and UM-1J and UM-5J surface mount packages. This filter also features insertion loss of just 5.0dB dB. Find full specifications here. The GSF-74 TY0135A 3 pole crystal filter from Golledge with centre frequency of 21.4MHz features a 15kHz 3dB bandwidth and is available in multiple packages, including both UM-1 and UM-5 style leaded packages and UM-1J and UM-5J surface mount packages. This filter also features insertion loss of just 3.0dB dB. Find full specifications here. The GSF-74 TY0136A 3 pole crystal filter from Golledge with centre frequency of 21.7MHz features a 7.5kHz 3dB bandwidth and is available in multiple packages, including both UM-1 and UM-5 style leaded packages and UM-1J and UM-5J surface mount packages. This filter also features insertion loss of just 3.0dB dB. Find full specifications here. The GSF-74 TY0137A 3 pole crystal filter from Golledge with centre frequency of 21.4MHz features a 15kHz 3dB bandwidth and is available in multiple packages, including both UM-1 and UM-5 style leaded packages and UM-1J and UM-5J surface mount packages. This filter also features insertion loss of just 3.0dB dB. Find full specifications here.